Collectivator :: Flapper figure - store prop. 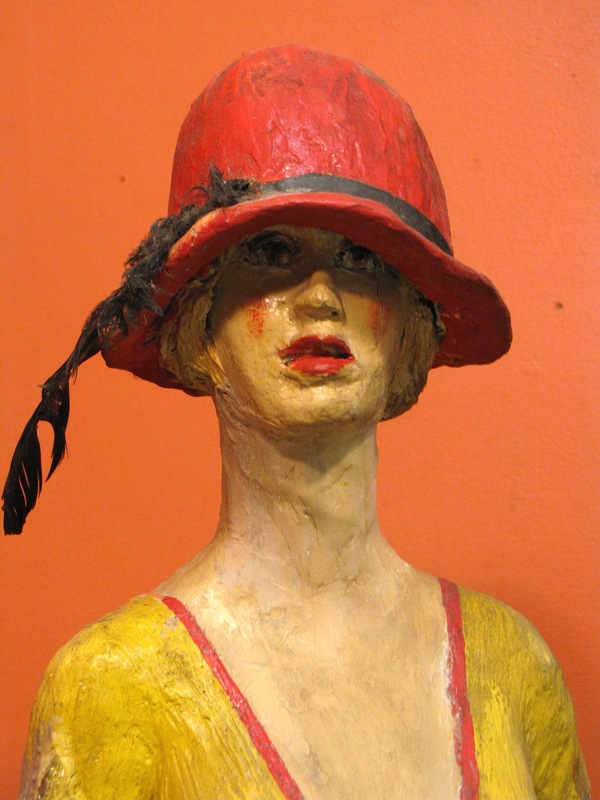 SOLD Flapper Figure - Store Prop. 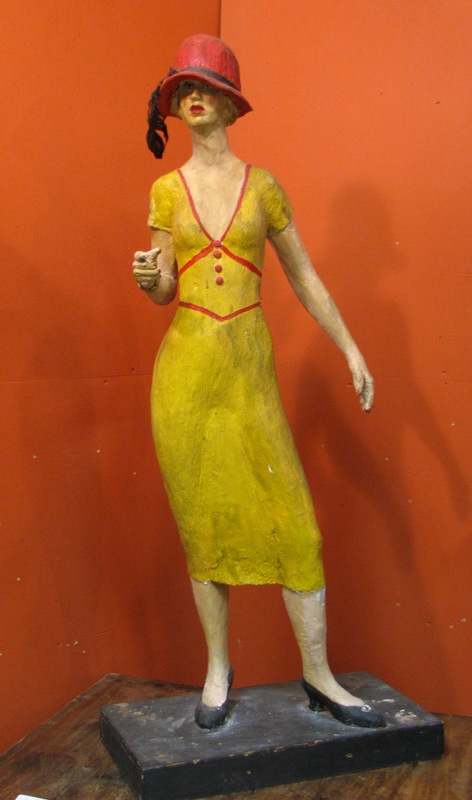 This is a store prop figure of a Flapper era (1920's) lady in yellow dress, red hat with a feather and black shoes. It came from Eastern Ontario and was used in a women's clothing store. It is modelled in papier mache and the base is wood. There are four holes in the base where it was attached to a store counter. Wonderful form and strong colour. It looks great in the corner of a room as she keeps an eye on you. It is in good condition with minor wear. The overall height is 36".